If we say that website designing is the critical part of website development, then maintenance will be the another crucial part of it. It is very important to maintain a website since any modifications done to any part of the website must not affect its quality at any cost. Once the website is created and hosted on the Internet, it is very important to maintain that website in accordance with the changing scenarios. It is essential to maintain the site properly at certain intervals in such a way that it should match up with the current changing scenario. Updating the site periodically will help to keep up your business or organization goals. Proper functioning and quality rich content website will provide the way to increase the traffic for your site. Our professional at Isplchennai provide a proper web maintenance for your website, thereby aiding you to achieve your business goals. Our regular maintenance ensures the proper functioning of your site and also provide the necessary changes from time to time. Regular updation of fresh content that matches with the current scenario. Updating with the current trends to sound technologically good. Introduction of relevant pages with more details about your website. Proper optimization with major search engines. Monitoring website statics frequently with current tools. 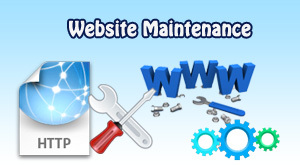 To enjoy our professional web maintenance service, contact us today.